Marine VHF Radio (SRC) - a one-day course for anyone who operates a fixed or hand-held marine VHF radio. 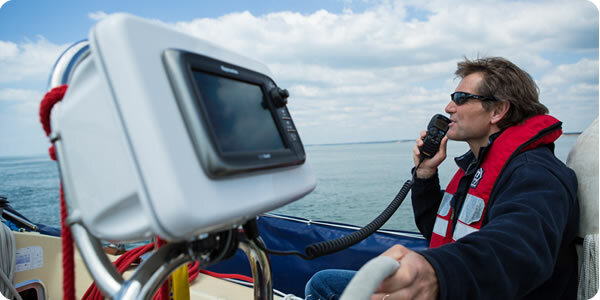 This 1 day course covers all aspects of the RYA and MCA syllabus for anyone who operates a handheld or fixed marine VHF (Very High Frequency) and VHF/DSC (Digital Selective Calling) radio. It will enable you to become a competent communicator in all VHF/DSC procedures. You will receive the SRC (Short Range Certificate) on successful completion of the exam process via the RYA. A VHF radio is an important piece of safety equipment. 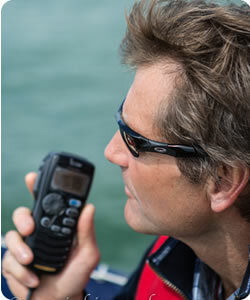 It is vital to understand the correct procedures to operate a marine VHF/DSC radio. The SRC is the minimum qualification required by law to operate this radio class, class D radio set. This course is a pre requisite for a Commercial Endorsement and for candidates taking either their RYA/MCA Yachtmaster Coastal or Yachtmaster Offshore Certificate of Competence examinations. This takes roughly 5 hours of course study including the use of the course RYA VHF Handbook or E-book for reference and self-study. You need to pass the online questions to receive the Interactive Course Completion Certificate. Once you have passed and downloaded your certificate, you can take the exam. We will arrange the exam direct with you, to be taken at the PHSS Training Venue. The online SRC Licence Application form must be completed and brought along on the day of the exam. The web-based training is designed to work across the devices and operating systems shown below. It is optimized for the latest technology, fully responsive, suitable for high definition screens and provides an improved user experience. Complete the course with an instructor using real radios designed for training. This is a one day training room course, with the exam process at the end of the training. We will send you the RYA VHF handbook or E-book before the course for roughly 2 to 3 hours of self-study. You then attend the one-day classroom training 0900-1630, normally followed by your exam on completion. Course dates are on the calendar otherwise contact us to discuss your options and find a mutually convenient date where possible. Whichever course option you choose, online or with an instructor, you will receive the RYA VHF Handbook (G31) or E-book prior to the course. You will need to let us know your book preference. The VHF SRC application form and Interactive Completion Certificate is required on the day of your exam, by the Examiner. This is evidence that you have completed any pre-exam study satisfactorily either option 1 or 2 above. All new VHF sets are either fitted, or can be interfaced, with DSC allowing calls to specific vessels. If you hold the ‘old’ VHF licence (pre-1999) you need to upgrade your qualification if you purchase new DSC equipment. This can be done by completing 1 or 2 above or, if you feel no tuition is required, you can enter for direct examination. Practical sessions on DSC training radio. No previous practical VHF radio experience is required prior to the course. The RYA VHF course book G31 will be sent on booking, for up to three hours of self study prior to the 1 day course and for use with the interactive option. Knowledge of the phonetic alphabet, channel allocation and distress, will be highly beneficial. Additional information is in the joining information. Pens and notebooks are required. The One Day Course: 0900 – 1630hrs followed by the exam process. 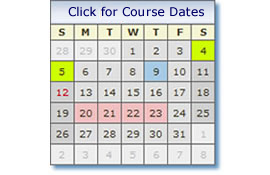 Course completion time will depend upon the number of exam candidates on the day. We have decided to complete the course and exam in one day following your own self study, as opposed to a two day course. The Exam process is taken by an independent examiner/s and not your instructor. Please note the practical and written exam process will take a short time to complete for each person. The actual course completion time will vary for everyone depending upon course numbers. This will be the same for each centre. Prior to the exam you will need to register and pay for the exam and application form. The exam will be arranged at the end of a full SRC day course, with other exam candidates or on a mutually convenient day at the PHSS Training Centre. We will confirm the date and time with you. You must bring along a passport photo and the application form printed off after paying via the RYA website. For all candidates; The SRC Application Form, downloaded and printed off from the RYA website. This will follow £60 payment direct to the RYA for the exam and licence. For E-Learning candidates, your Interactive Completion Certificate. Without it you will not be eligible to take the exam. A current passport photograph, with the applicants name clearly printed on the reverse. The VHF SRC Licence application is sent to the RYA via your VHF Examiner on successful completion of the exam. The RYA will issue the SRC direct to you approximately three weeks after the exam.